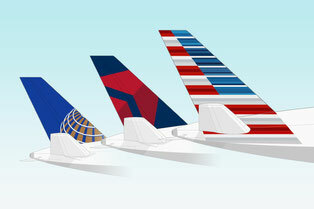 The three largest carriers in the U.S., Delta Air Lines, American Airlines and United Airlines (Big Three) are on a "collision course with the U.S. all-cargo industry" as they continue their “misleading and obsessive campaign“ trying to eliminate competition from the three Gulf carriers, Emirates Airline, Etihad Airways and Qatar Airways, which a report recently published states. 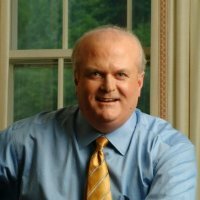 In a commentary last week, Kevin Mitchell, the founder of Business Travel Coalition / OpenSkies.travel, claims that the ongoing efforts by the Big Three to pressure the Trump Administration to scrap the current Open Skies agreements between the U.S. and the UAE and Qatar, are essentially an attempt to restrict Fifth Freedom rights, also referred to as beyond rights, which are a core element of U.S. Open Skies policy. Mitchell states that if the Big Three would succeed in their self-serving political battle, it would cause significant and irreparable damage to the U.S. all-cargo industry. The Big Three, writes Mitchell, have made no secret that they want the U.S. Government to violate the Open Skies agreements by restricting Fifth Freedom rights, despite the fact that for 25 years U.S. negotiators have insisted every one of the country's more than 120 Open Skies agreements contain Fifth Freedom rights. According to Mitchell, U.S. all-cargo airlines such as FedEx, UPS and Atlas Air have built unrivaled global networks, which literally have changed the way the world works. In addition to employing hundreds of thousands of workers - several times more than the Big Three employ combined - they are indispensable to moving U.S. export products around the globe and supporting countless U.S. jobs that depend on them. "Simply put, their commercial health as well as maintaining the operational flexibility they have today, due to the USA's wise Open Skies policy, is vital to the U.S. economy." In response to the misleading campaign by the Big Three, FedEx, Atlas Air and the Cargo Airline Association have stepped-up in a big way to oppose the Big Three’s efforts to dismantle Open Skies by targeting Fifth Freedom rights. "As a country, we cannot and should not sacrifice the global competitive advantage that the U.S. has in the all-cargo air transport sector because the Big Three are afraid of competition and greedy to add to their already record setting profits," writes Mitchell, adding that the Big Three should have the courage to file an International Air Transportation Fair Competitive Practices Act (“IATFCPA”) complaint with the U.S. Department of Transportation. "If they continue to refuse to do so because they know they cannot show commercial harm, and therefore have no case, the Trump Administration should tell them enough is enough, time to move on. Under no circumstances should the Trump Administration entertain the Big Three’s demand to start a chain reaction that could decimate the U.S. all-cargo air transport sector," Mitchell concludes.